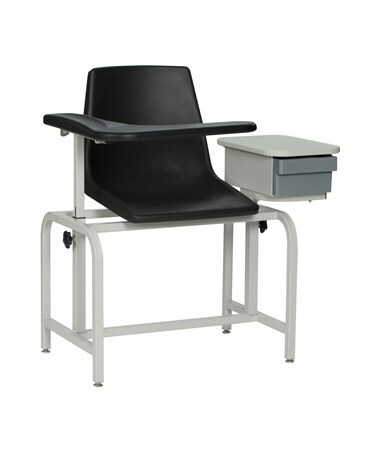 The Winco 2570 Blood Drawing Chair with Storage Drawer features two infinitely contoured urethane adjustable armrests, durable plastic resin seat and non-marring leveling feet. The brand-new style drawer comes in just the right size to provide the care-giving stuff with a great storage option. 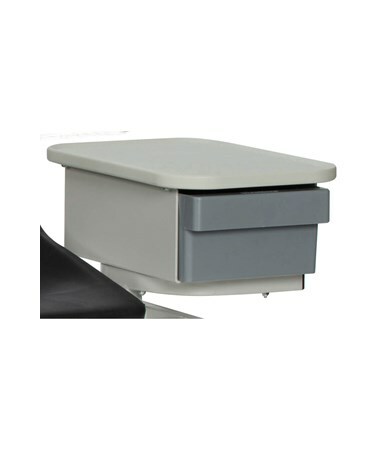 Winco 2570 plastic resin seat provides and endures durability and years of use. 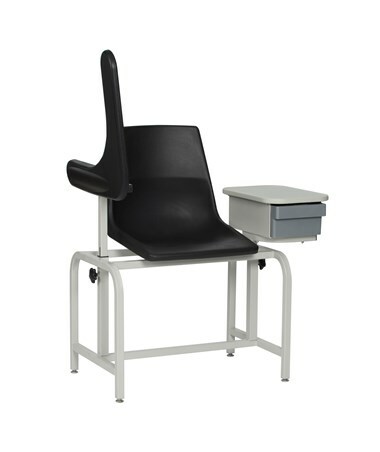 The sturdy powder-coated steel frame provides a weight capacity of 300 pounds. 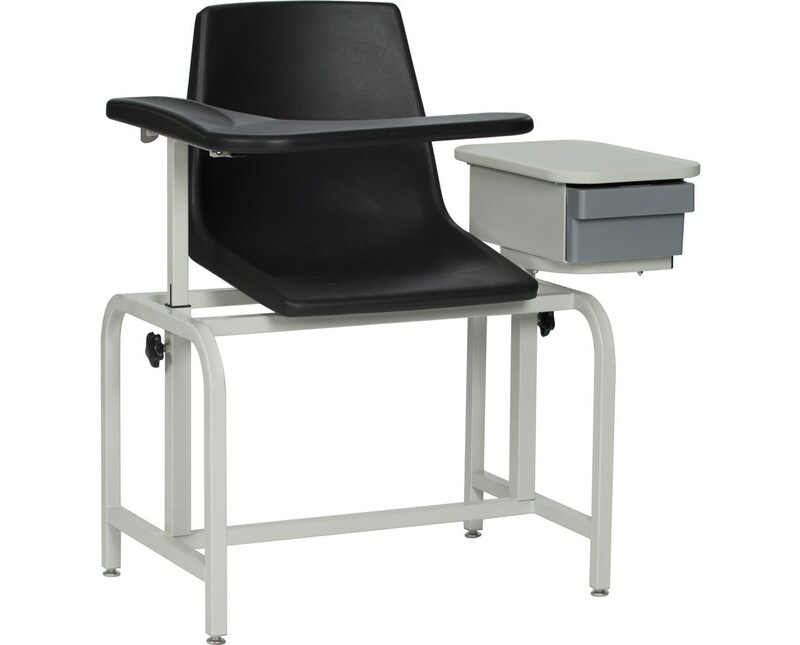 Winco's Blood Draw Chair is economical, yet designed with durability and longevity in mind. The following options, if desired, are available to select, just above the "add to cart" button on the top right side of this page. Please click on the drop down and select your desired product variation. Also, please note that there are additional charges for the following available additional options.